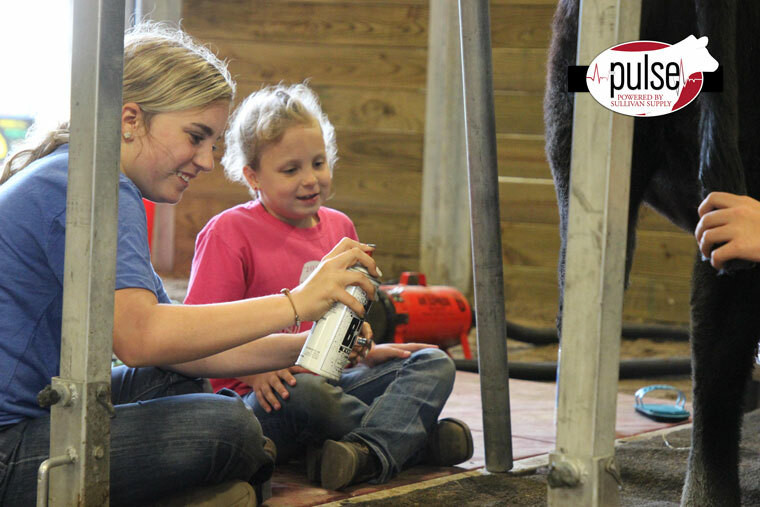 Jaci Brown uses Sullivan’s Jet Black to mentor fellow teammate, Taylor Trutna, during the fitting contest. Taylor Kruger using Sullivan’s Tail adhesive for the maximum hold on the tail. 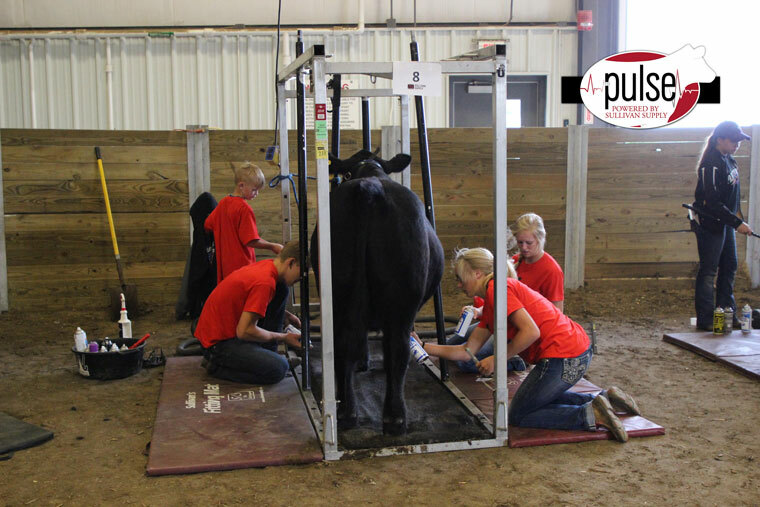 Champion fitting team Summer Kath, Ava Kyllo, Clay Wilking and Cullen Wilking hard at work dialing their calf in. 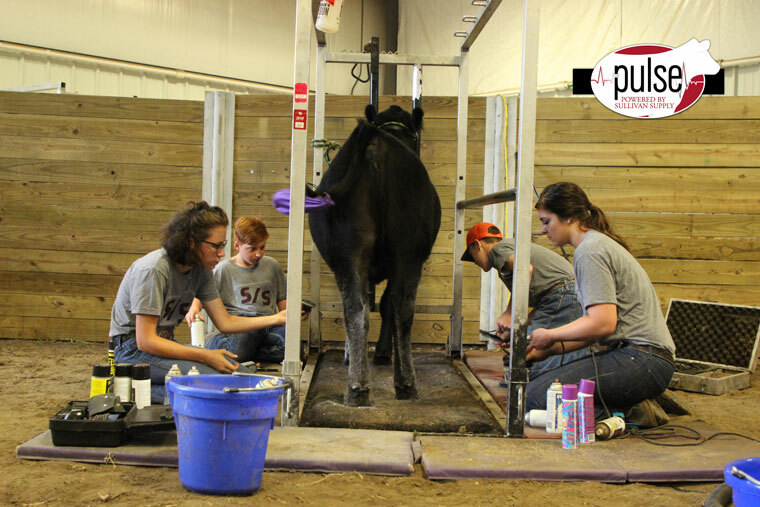 Intensely working during the contest were team 3 members consisting of Danielle Henning, Maggie Isgren, Caleb Weyh and Brody Schelkopf. Zoe Walker taking down the high spots on the leg and smoothing it down for a show finish. 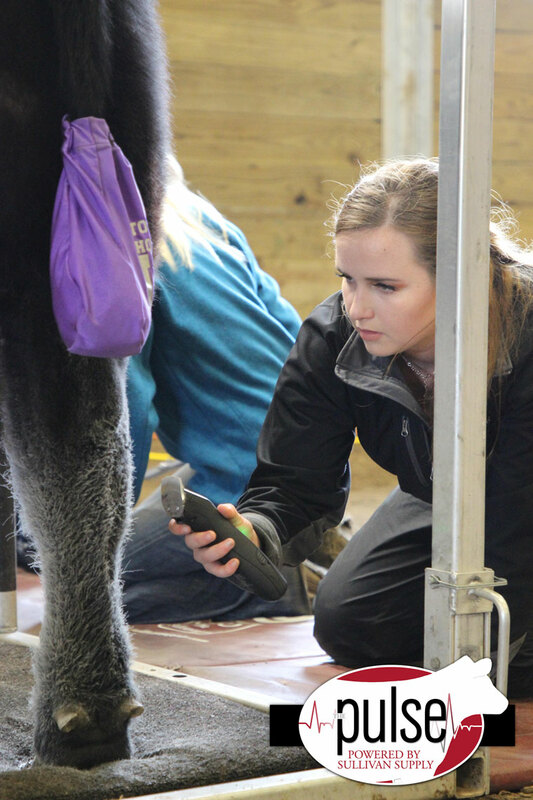 Laramie Coffey fitting like a pro using Sullivan’s White Powderful to help build up her leg. 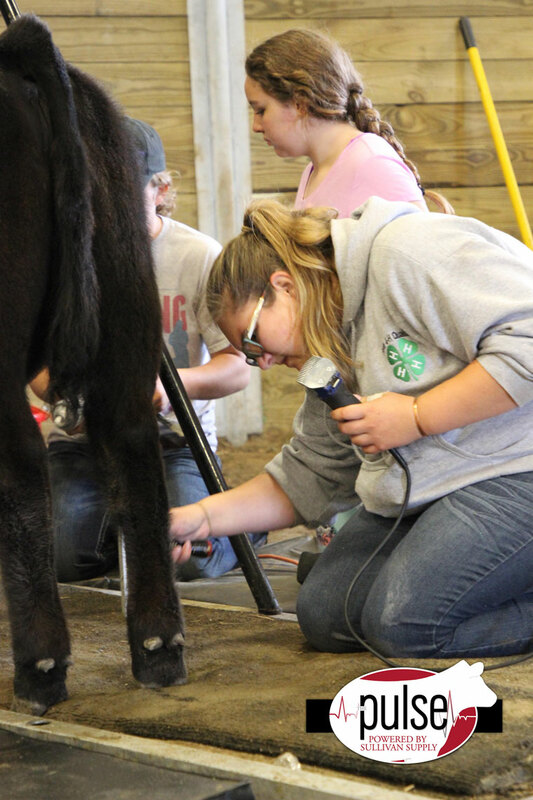 Reserve champion team member Cassie Wells doing some detail work on her leg.